A few days ago we at gaadikey.com had reported that Nissan is going to introduce the Kicks to the Indian market by the end of 2018. 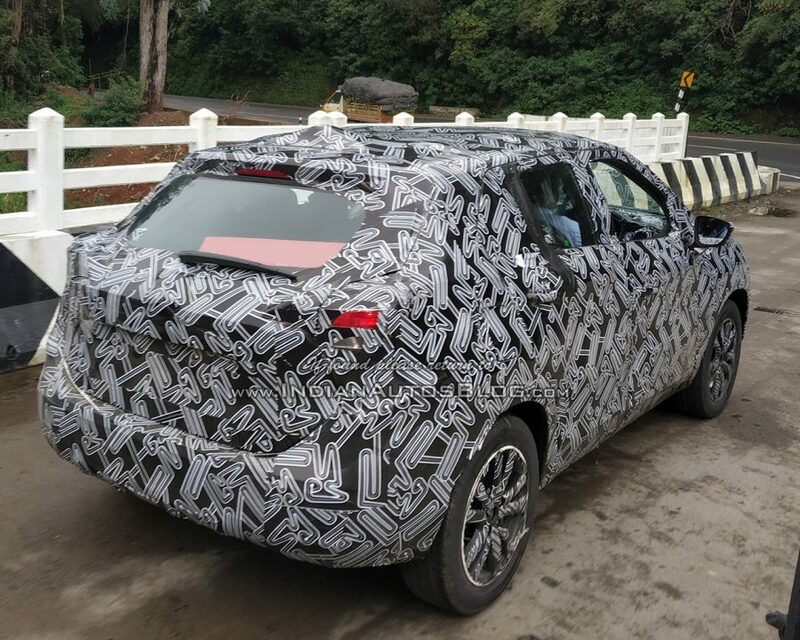 Now we have found out a few spy shots of the right-hand-drive Nissan Kicks which was surfaced on the internet, with the SUV being tested on Indian soil. Nissan is expected to launch the Kicks in the Indian market some time to the end of 2018 or early next year. From the spy shots its evident that the overall profile of the test mule seen in India looks quite similar to the one sold abroad. However, As per the announcement from Nissan, the India-spec Kicks is based on M0 architecture, which also underpins the India-spec Renault Captur, the Duster, and the Terrano. According to sources, the Kicks will be positioned as a more premium offering than any of these. The Nissan Kicks already has a good presence in the global markets which is based on the V platform. The India-spec Nissan Kicks will be powered by the existing 1.5-litre petrol and diesel engines which is used in the Renault Captur . The 1.5-litre petrol unit puts out 104bhp and 142Nm of peak torque while the diesel engine makes about 108bhpand 240Nm of torque . The petrol engine is mated to a 5-speed manual gearbox and the diesel engine is paired to a 6-speed manual transmission . When launched in India, the Nissan Kicks will go against the like of Hyundai Creta, Renault’s Captur and lower variants of the Jeep Compass. The SUV is expected to be the brand’s comeback product it is priced competitively.